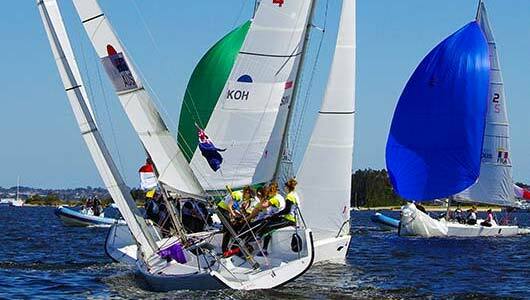 Match Racing involves evenly matched boats racing each other in a short race format. Think the excitement of the America’s Cup! 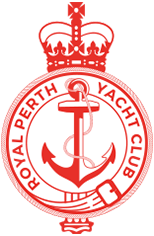 The RPYC Match Racing Squad is open to all Members of the Club. However, if you are interested in taking part and are not a Club Member, please contact the Sailing Office. We will give you a ‘try before you buy’ trial. There are no additional costs involved, all training sessions are included as a benefit of Club membership. The Squad trains once or twice a month (depending on the season) on the Club’s fleet of eight meter training yachts. Some sessions are coached, with an expert coach leading the morning or afternoon activities. In addition to training, there are also a number of Club based regattas, which provide a great opportunity put those skills into practice. Becoming involved in the Match Racing Squad presents a great opportunity to develop general sailing skills and knowledge, along with match-race specific competencies. It is also a great social opportunity, where you can meet and bond with like-minded people and enjoy some friendly competition in races. 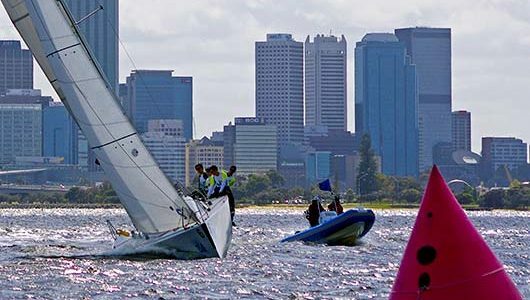 In order to register your interest in the Match Racing Squad and keep updated with training times and events, please contact the Boating Operation Office at boatingoperations@rpyc.com.au or on 9389 1555.